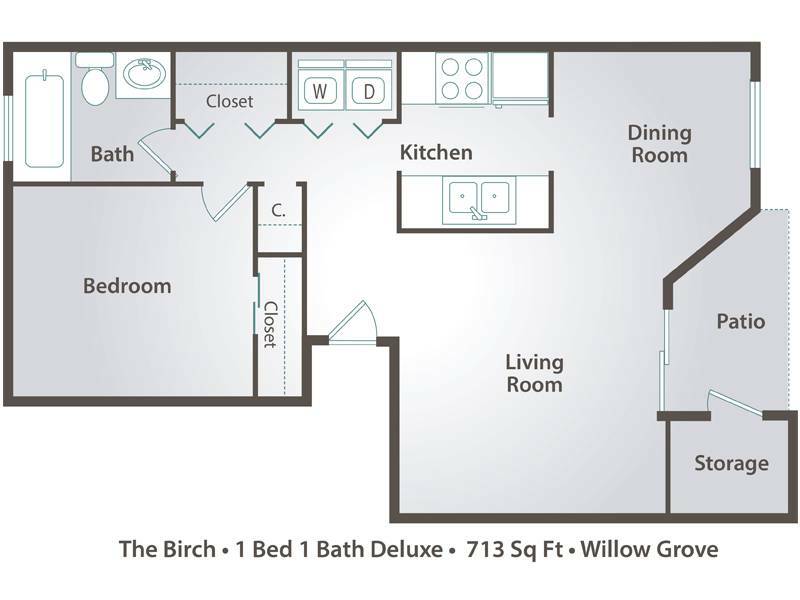 The Birch is our larger style one bedroom floor plan. This floor plan boasts large living areas with a separate dining room. With modern light fixtures and raised panel cabinetry, this floor plan offers the ability to show off your style with ease. This Modesto apartment home may come with wood-style flooring in our downstairs options and always offers washer/dryer connections for convenience!